Los Pasharos Sefaradis constitute a milestone in the revival of the Turkish Sephardic culture by seriously researching and studying the language and the secular music of their ancestors since 1978. Contrary to other interpreters of Sephardic music in the western world, they give great importance to the lyrics of the songs and take great care to enunciate each word clearly and sing in as authentic a manner as possible, the way their grandmothers used to, with the oriental technique of both singing and acting every song . Their being the last generation of Turkish Sephardim to speak Judeo-Spanish well is a great asset. 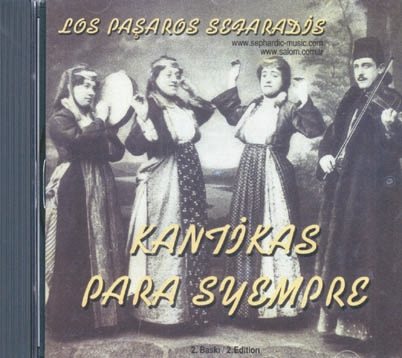 Los Pasharos Sefaradis have released 5 albums on Judeo-Spanish secular songs: Los Pasharos Sefaradis Vol I, Vol II, Vol III; La Romansa de Rika Kuriel; Kantikas Para Syempre; and Las Puertas. The latter is a double CD made up of most of the songs in their first three albums. 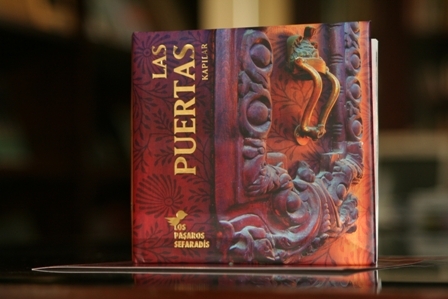 One of the Las Puertas discs contains 15 songs sung with an Occidental interpretation both in the orchestration and the singing (La Puerta al Oksidente); the second CD contains 15 other songs sung with an Oriental interpretation (La Puerta al Oriente). 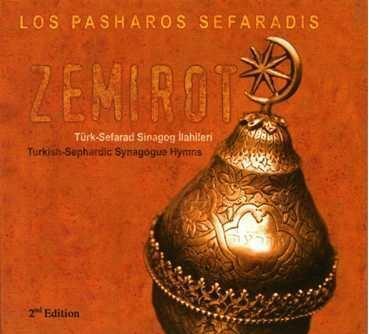 In 2001, Los Pasharos Sefaradis began to explore the liturgical music of the Istanbul synagogues. Noticing a great void in the number of published material on the subject, the group worked for a whole year for their first liturgical album on the subject. The result, Zemirot: Turkish-Sephardic Synagogue Hymns, was released in September 2002.
where can i buy those cds or online music? thanks. http://www.gozlemkitap.com you can buy from there….